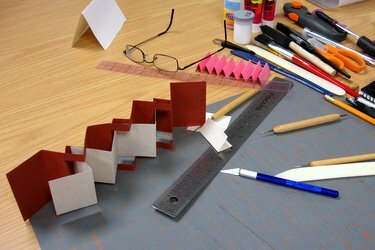 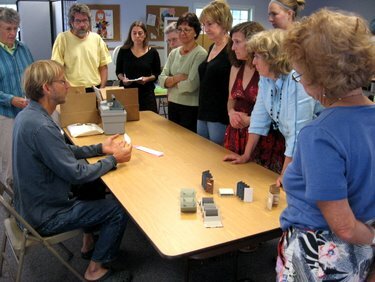 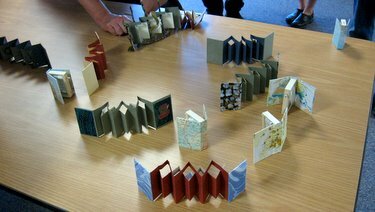 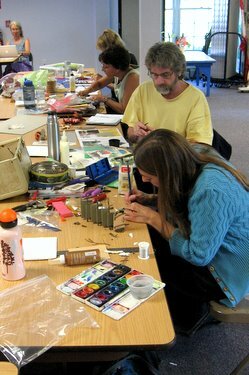 In late August, the Book Arts Guild of Vermont hosted Peter and Donna Thomas‘ workshop The Nested Accordion Pop-Up Book and the Miniature Scrolling Book. 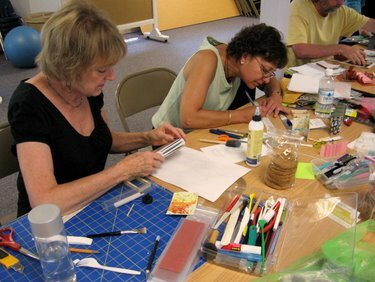 California residents Peter and Donna started their cross-country, book arts adventure in April 2010. 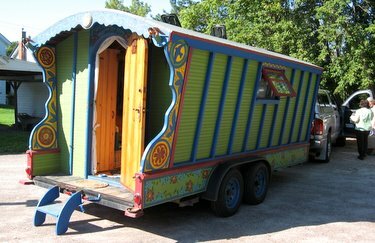 During their travels in their self-built gypsy wagon, they’ve stopped at universities, libraries, and arts centers to spread the “bookbinding for world peace” message. 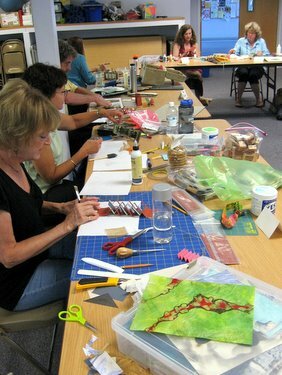 Their workshop (and enthusiasm) was enjoyed by all. 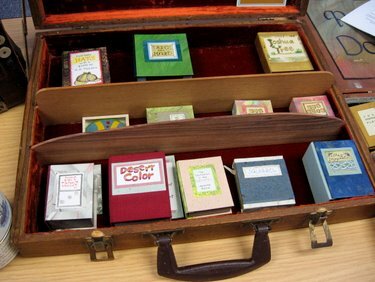 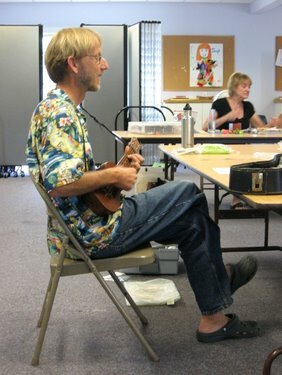 You can read more about Peter and Donna’s journey on their blog, Adventures of the Wandering Book Artists.